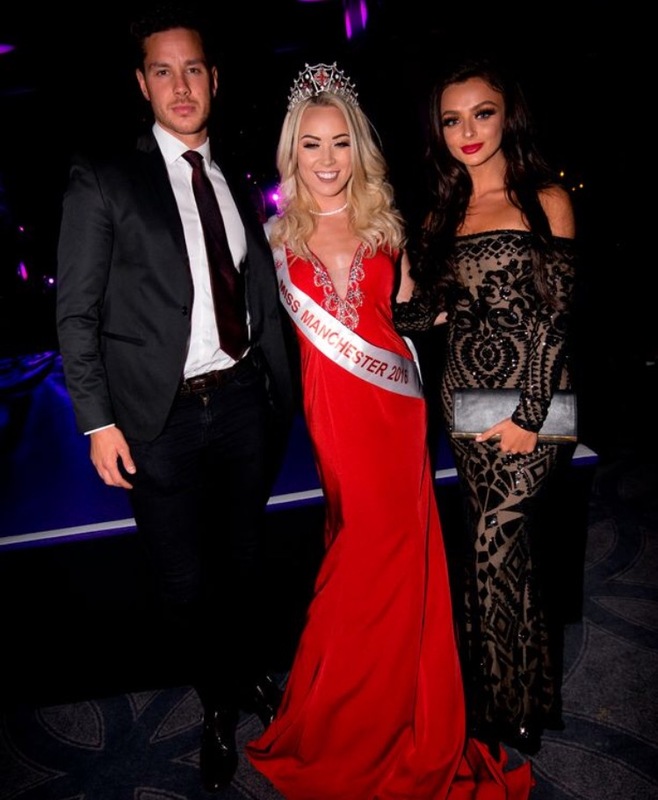 A glitzy night as 25 girls competed to be crowned Miss Manchester at The Principal Hotel in Manchester, with celebrity judges included Love Island lovebirds Scott Thomas and Kady McDermott, Capital Radio DJ Adam Brown, reigning Miss Manchester Gabrielle Taylor and Miss England Elizabeth Grant and head judge, businessman Arran Coghlan. The annual beauty pageant no longer includes a bikini round – instead the girls show off their physical fitness during a bootcamp and sportswear rounds. It was a packed night of live entertainment, with performances from former X Factor singer Tom Bleasby, singers Yvette Royle, Kenny, Ewan Sim, Carlo Sax, Jane Relph and dancers from Pop Up Productions. The event was hosted by Capital Breakfast duo Rob Ellis and Rachel Burke-Davis and organised by Entertainment Today, and raised money for Capital’s Make a Noise Foundation with a charity raffle and auction on the night. Zoe Dale, from Chorlton, was crowned the winner after four thrilling rounds, followed by 1st runner up Anjali Puri, 18, from Greater Manchester who plans to study medicine at university next year. 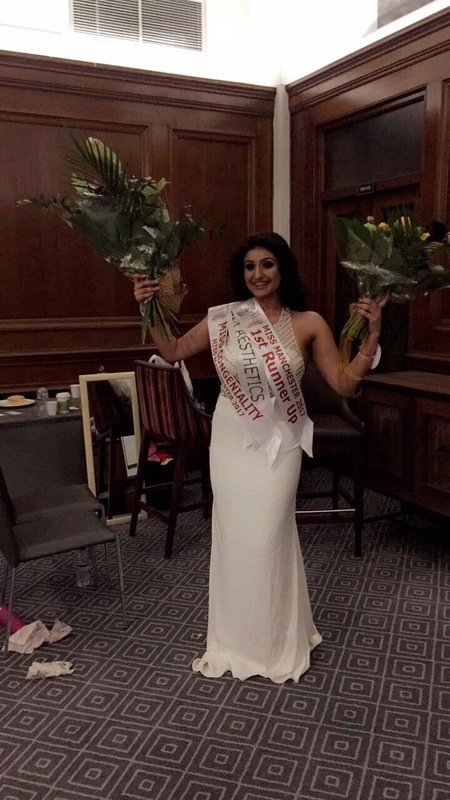 Anjali looked amazing in her white sparkly Kiss Me Kate gown along with last years winner Gabrielle Taylor who handed over her Crown wearing our Kiss me Kate red pageant gown.